Chiropractic offers for new patients. Gap free X-rays if needed, during initial chiropractic consultation on site. If you are unsure of what you need - A Complimentary Brief Consultation with our Principle Chiropractor is available. Did you know that you can download our forms from right here on our web site and fill them in prior to your visit to save time? All downloads are provided as PDFs for your convenience and you can download your FREE Adobe Reader (HERE). At Your Allied Health Centre, we collaborate with other health professionals when needed and provide a tradition of effectiveness and patient satisfaction without use of drugs and surgery, enabling patients to avoid these where possible. Here's how we can help you. Many people enjoy the benefits of safe, professional chiropractic care everyday. Find out how others are benefiting from chiropractic care and let us help you. Acupuncture is an ancient eastern healing practice dating back 5,000 years, and it works by stimulating energy flow in the body. It could help you. When muscles become knotted, tense or damaged for any number of reasons, remedial massage provides a healing treatment that can be very beneficial. At Your Allied Health Centre, we offer exceptional evidence-based Chiropractic Care for you and your family. We combine the latest in scientific techniques and technology with genuine care to ensure that our Chiropractor will never guess about your health. We are also able to offer you a variety of holistic health care options with our very own Acupuncturist and Remedial Massage practitioners. We are proud to care for hundreds of patients from local communities, such as Albany Creek, Eatons Hill, Bridgeman Downs, and Mcdowall, to all over North Brisbane and look forward to being able to help even more people achieve better quality of life! We are expertly qualified providers of spinal adjustment, manipulation and other manual treatments, exercise instruction and patient education. If you are not sure about what service suits you the most, feel free to ask for brief consultation with Dr Jusik to see which service suit you the most. He will guide you to the right service whether its Acupuncture, Massage, or Chiropractic. "Your Allied Health Centre is dedicated to a patient-centered and biopsychosocial approach, emphasizing the mind/body relationship in health, the self-healing powers of the individual, and individual responsibility for health and encouraging patient independence." Dr Jusik, Hamish, Jasmine, Michelle Colleen, Teresa, Emma, and Monique all share a passionate commitment to Health care. The dedicated team at Your Allied Health Centre will provide you with exceptional levels of genuine, personalised care and plenty of laughter and fun for good measure. We consider this practice a place of friends and family and think of it as YOUR practice as much as ours. 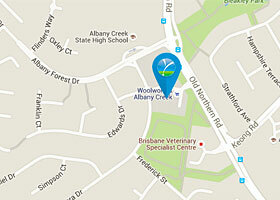 We are conveniently located within the Woolworths Marketplace Shopping Centre on Old North Road at Albany Creek, North Brisbane. Visit our CONTACT US page to view the interactive map and double click on our Map Icon to view all our contact details. Enter "Corner of Old Northern Road and Albany Forest Drive, Albany Creek" if you're using a GPS Navigator. © Your Allied Health Centre. All Rights Reserved.